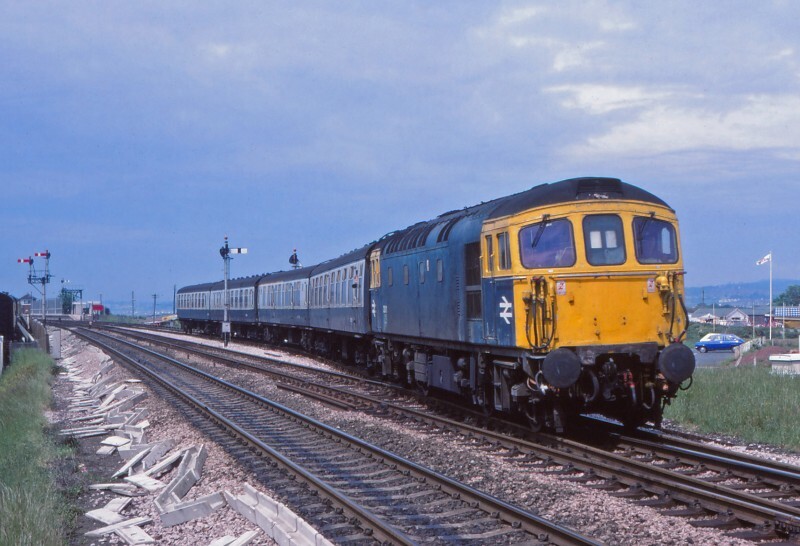 Martyn Hilbert's Railway Photography - BR Blues - Class 33, 33111 departs from Dawlish Warren. Class 33, 33111 departs from Dawlish Warren. Having called at Dawlish Warren, 33111 emerges from the Down Loop with an Exeter St Davids to Paignton service on June 3rd 1983. In the foreground the concrete troughing is being installed in readiness for the West of England resignalling scheme, which would see the abolition of the time-honoured lower quadrant semaphores.